macOS Mojave doesn't have a lot of visible new features, aside from the new dark mode, but under the hood there are plenty of changes to make the operating system faster, more stable, and more secure. In this article, I'm going to discuss some of the new security features that make Mojave easier to use safer and securely. As in iOS 12 - read this article about the new security features in Apple's mobile operating system - macOS Mojave brings a number of new features around passwords that will help make your computing more secure. Together with the keychain, which stores your passwords and which can sync them with your other Apple devices using iCloud Keychain, Safari now suggests and stores strong passwords when you create an account on a website. 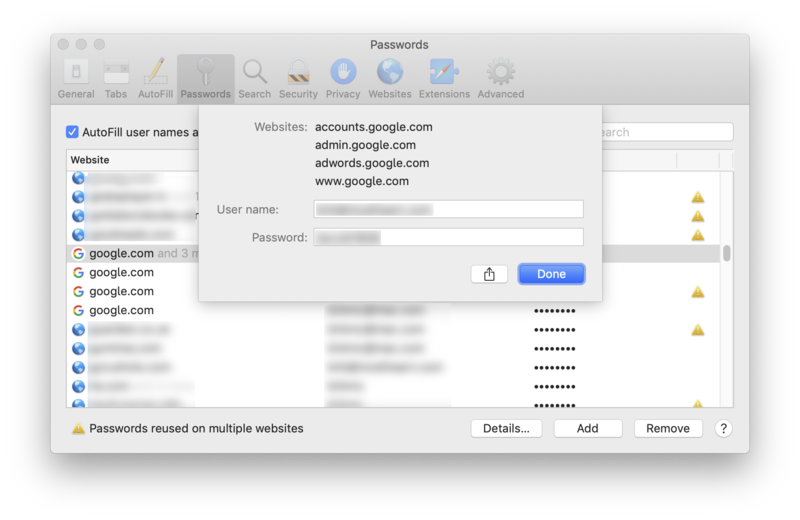 If you have had a tendency to reuse passwords in the past - this isn't a good idea - you can check Safari's preferences. Click the Passwords icon in the toolbar and you'll see a yellow alert icon where you've used the same password more than once. Be aware that these alerts don't always indicate a problem. You may have a password stored for signup.website.com, login.website.com, and website.com because of the way you have had to navigate certain sites. If that's the case, don't worry about the alerts. If you use two-factor authentication on websites, Safari will now automatically insert the codes you receive by SMS into the appropriate fields, as it can do on iOS 12. This works with apps that have been updated to support the feature. 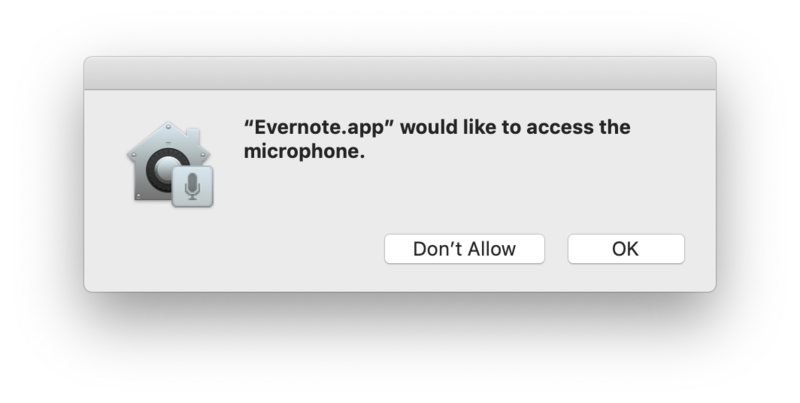 As we discussed in this article, you'll be seeing a lot of dialogs asking for your permission. While not new, these alerts are now displayed for more situations when software wants to control your computer in some way. You'll also get specific alerts when an app wants to access the camera or microphone as has been the case in iOS for many years. In addition, the T2 chip in the new MacBook Air and the MacBook Pro with touch bar disables the microphone on the MacBook Air when its lid is closed. 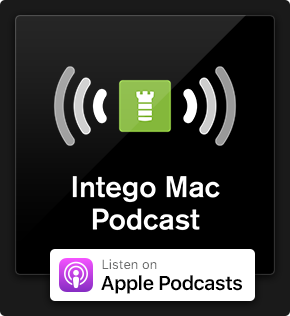 This chip is also in the iMac Pro and the recently updated Mac mini, and is used for other security features such as biometrics (Touch ID). Safari now limits how websites can fingerprint and track your activity. Fingerprinting is when a website creates a profile about you which is generally shared with advertisers. Safari's Intelligent Tracking Protection, also included in iOS 12, prevents a lot of this, limiting the ability of advertisers to display targeted ads when you visit websites. Safari has also enhanced its tracking protection so websites and cookies can't follow you around as you surf the web, especially when they come along with like buttons, share buttons and comment forms. If you haven't updated to macOS Mojave and your Mac is compatible, you should do so now. 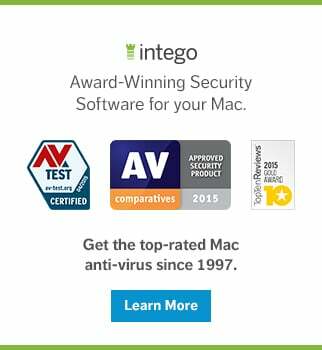 These new security features make your computing safer. This entry was posted in Software & Apps and tagged Apple Security, macOS Mojave, Mojave, privacy. Bookmark the permalink.